A week after his Ferdinand Berthoud brand won the Aiguille d’Or at the GPHG 2016, we spoke to Karl-Friedrich Scheufele at the Dubai Watch Week. You look very happy! Can you put into words what the Aiguille d’Or means to you personally and to Ferdinand Berthoud as a brand? When you have been working on a project like this for five years and you receive this kind of recognition I don’t think anything greater can happen. After introducing Ferdinand Berthoud to the press for the first time a year ago and having delivered just a few pieces this year, what a great moment! For us it was a recognition that not only means a lot but also showed that we did something right after challenging ourselves over and over again whether this would be the watch that Mr. Berthoud would have made. I could already hear some voices saying, “Oh it’s just another revival, let’s see what comes out”. The fact that we now have this recognition means that we were on the right track. Ferdinand Berthoud is clearly a totally separate brand from Chopard, but since you are personally involved with both brands, how did you manage to keep the work on Ferdinand Berthoud separate? It was a genuine case of thinking outside the box. I told anyone who was involved in the project to forget everything they knew about Chopard, because we were not going to do anything even close to Chopard, we were going to do something completely different. This was not easy but we were helped by the wealth of literature and some of the antique pieces we own and these acted as a guideline and served as our inspiration. 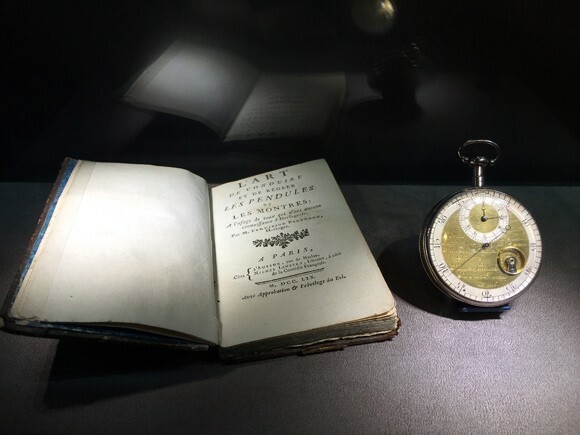 But then we had to find a way to miniaturise the whole concept [of a marine chronometer] and bring it into a modern context. Almost in parallel Chopard launched its first-ever minute repeater only last week. These were two huge projects running at the same time. Was it a challenge to follow both of these? For sure! I have to qualify it a little bit as a coincidence. The L.U.C Full Strike had to come out this year, of course, to celebrate the 20 years of the manufacture. 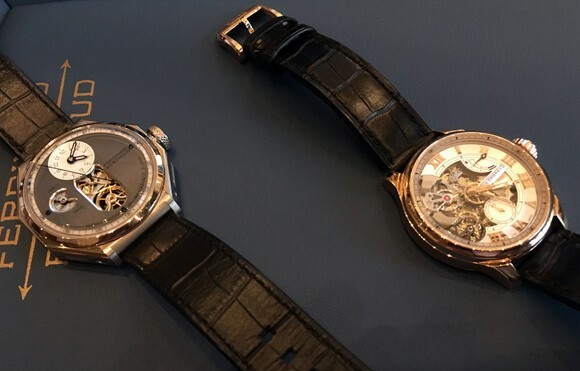 The nice thing about the Ferdinand Berthoud project is that nobody was waiting for us. We didn’t talk a lot about what we were doing. 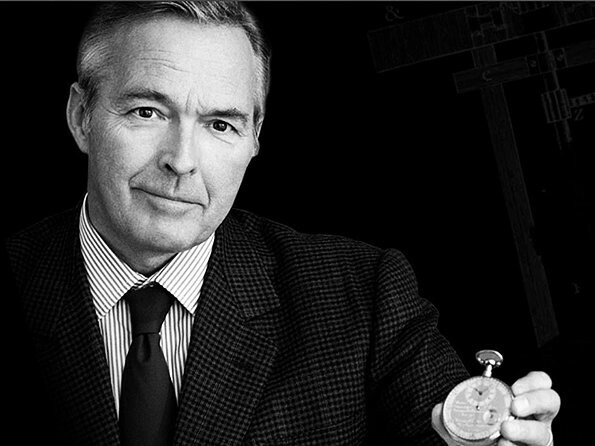 At one point some people asked me whether it was true that I had acquired Ferdinand Berthoud. I confirmed this but didn’t really say any more, so we didn’t have the pressure of a launch year or date, which is very precious when you have a project like this. Otherwise, yes, it was an enormous challenge when both projects were coming close to their conclusion. And there were other things going on as well – the kitchen was very busy! Does that mean there are other exciting projects to come soon? Well we have given the chefs a bit of a break for the moment. What has been the immediate feedback for these two models? The immediate feedback from the Aiguille d’Or was that people called me who I hadn’t spoken to for a long time and I could very quickly see that the news had travelled far. Such positive feedback was very encouraging. For the L.U.C Full Strike, when we presented it to some journalists in Fleurier everybody was very impressed. How important are certifications for you, since Chopard is the only brand to offer a triple certification model, with the Poinçon de Genève, Qualité Fleurier and COSC certifications? We are lucky to be in Geneva and in Fleurier and to be a co-founder of Qualité Fleurier, so it is a challenge for us to do this piece. We have always been close to the Poinçon de Genève because we are in Geneva and I think it’s a great institution. We all know that one Geneva brand stopped using this hallmark, which I regret. Our message was that we continue to support it because it is a Geneva institution. "My family always knows when I have been to Fleurier, because I come back smiling"
You have now set the benchmark very high. How are you going to beat that? Obviously winning the Aiguille d’Or is great, but at the same time it sets a standard for whatever we do next. But I think that pressure is always good. How do you divide your time between brands and projects? I set out to do 80% of what I am supposed to do and set aside 20% for other things, which is basically how Ferdinand Berthoud came about. For me, that isn’t work. It’s relaxation, something I do to unwind. It is the most enjoyable aspect. My family always knows when I have been to Fleurier, because I come back smiling.